Jon and his son Fulton wanted to go fishing in Miami. They wanted to catch a tarpon and permit. Both can be very difficult fish to catch on some days and others it’s pretty easy. We started out with trying to catch the tarpon we tried some spots for them and had them around but we could not get them to bite that day. So we decided to try for the permit. We ran to fish the flats of Biscayne Bay. We were fishing some of the channels edges that separate the flats of Biscayne Bay. We had a couple shots at some permit cruising the edge, but we did not get the crab in just the right place. The crab needs to be cast close enough that the permit can see it, but not to close that the permit spooks. We found a nice school of permit, but just could not get close enough to cast to them. We worked that school for awhile until for what ever reason they just turned and came straight at us. Fulton makes a perfect cast to them and he got hooked up. After about 15 maybe 20 minutes of battling the permit on 10 lb. spinning gear we were able to land it, get some quick photo’s and release the fish asap. 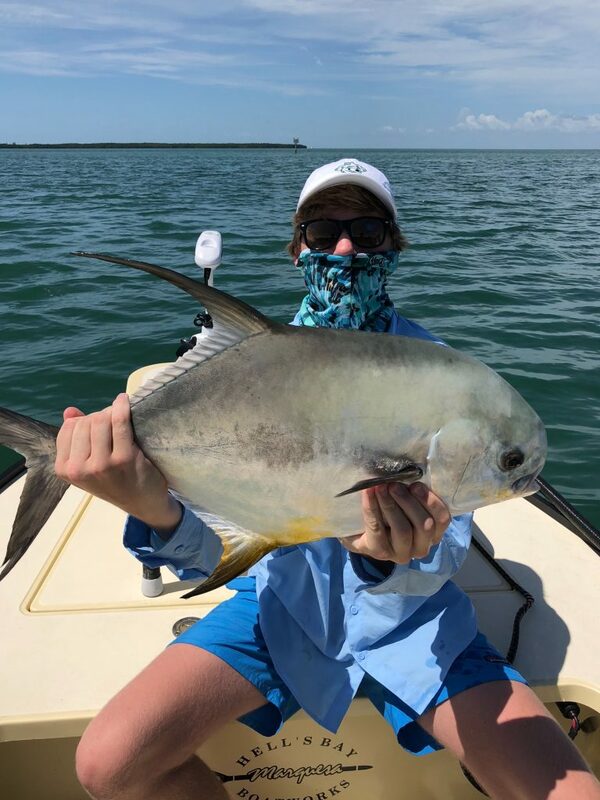 We also encounter some jacks while we were looking to catch our second permit. We changed from fishing with crabs and went to a topwater lure. 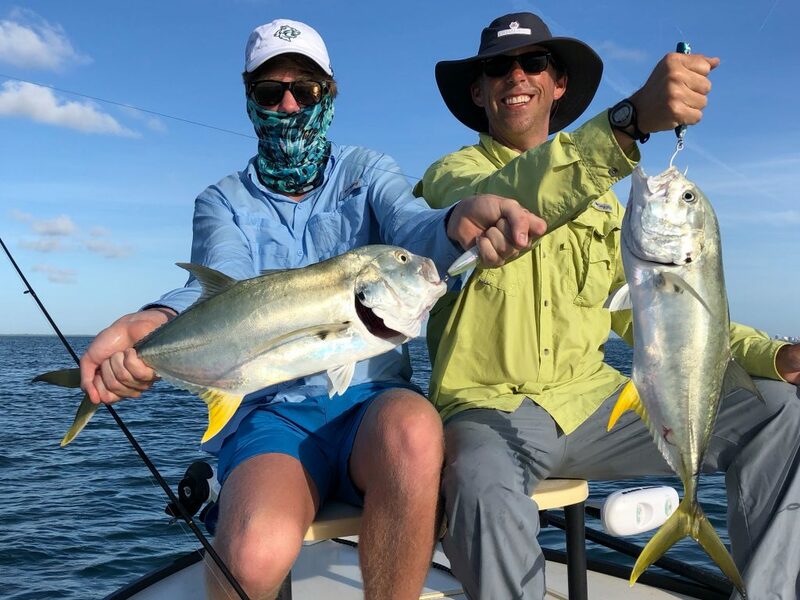 The jacks crushed the lure as soon as it hit the water. They stuck around and I got a second rod rigged up and we caught a double.